Helping you feel better isn't just a job...it's our passion! Our professional therapists and estheticians have devoted literally thousands of hours to learning what to do to help you, how to do it and why. From the moment you arrive for your therapeutic massage or skin care session, you have our complete and undivided attention. And while you are under our care, it is truly all about you. Tell us where it hurts. Then tell us when something we do feels good, seems to help or even if it seems like a waste of time. We're listening, and we'll do whatever it takes to get it right. The therapy begins the moment you walk into our office. The sounds of hair dryers and chatting stylists are noticeably absent, as are the smells of nail polish remover and hair spray. The stresses of the world are left at the door. You'll hear soothing sounds such as our waterfalls and music, and you'll smell pure essential oils such as lavender and jasmine. Therapeutic Living is a place of relaxation and rejuvenation of your mind, body and soul. When you leave here you'll look better because you'll feel better. Therapeutic Living is a locally owned and operated business located in professional office space, not another corporate franchise in a busy retail strip mall. We understand that the most important way to take care of our bottom line is to take complete care of you, our cherished clients. As a small business we can implement new ideas very quicky, so we look forward to any and all ideas you share that might make your experience even better. We are members of the local community in every sense. We live and employ others who live close to our office. We shop the same places that you shop and eat the same places that you eat. Our kids play in the same parks and learn in the same schools. If we were any closer, we'd be family...and we wouldn't have it any other way. Massage is the perfect gift for all occasions! Our 2019 Mothers' Day gift card special has started! From 4/19/2019 through 5/11/2019, purchase $100 or more in gift cards and we will add 20%. That's right, a $100 purchase automatically becomes $120, $150 becomes $180, and so forth. After you order, we'll mail them to the destination specified in your online order. Or, if you'd like us to hold them here at the clinic, simply enter "Hold at Clinic" in the recipient address during your order. The promotional amount will not show up in the shopping cart, but it will definitely be added by us when the cards are created and we'll confirm the value in an email separate from your receipt email. Any questions, just give us a call at 618.206.2727 or chat with us on our Facebook page. You may purchase Gift Cards directly from this page using Authorize.Net's secure server. To purchase Gift Cards for amounts equal to specific services, please visit the individual service pages and look for the Buy Now button. Active duty and retired military personnel and their spouses receive 10% off any massage session. We believe that our troops are one of our country's most valuable resources. We salute you for your dedicated service and willingness to put yourself in harm's way during these trying times. 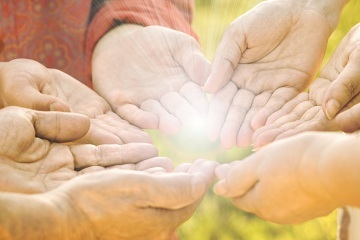 You and your spouses will always be treated like heroes at Therapeutic Living, LLC. Senior citizens age 65+ receive 20% off any massage session. We realize that at least some of your gray hair, aches and pains are because of us. Thank you for bringing us into this world. Thank you for raising us and especially for putting up with us while we were teen-agers. And thank you for watching our kids while we went out and pretended we were still kids. debit cards, checks and cash. 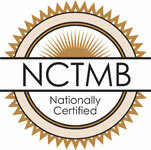 All of our professional therapists are state licensed as well as nationally certified. Each therapist has had at least 600 hours of formal training at an accredited center, and all are perpetually engaged in continuing education programs. This ultimate two hour session is sure to help you relax. Removes dead and rough skin. Cleanses pores. Rehydrates skin. And you get to relax the whole time! Our premium Hot Stone Massage is sure to melt away tension, ease stiffness and soothe soreness while warming and relaxing you to the bone. It's great therapy any time of year, but is especially a treat during the colder Winter months.